You're going to think I'm nuts but this is too good to pass up! One pre-Darwinian theory of evolution is credited to Jean-Baptiste Pierre Antoine de Monet, Chevalier de Lamarck (1744 – 1829). One component of his theory was "L'influence des circonstances" (the influence of circumstances) which we take today as an acquired trait (not a genetic trait), like bigger muscles, etc., that is a response to an environmental factor and is transmitted from parents to offspring. This (the transmission of environmentally influenced acquired traits) is referred to as Lamarckism or Lamarckian evolution. A common example used in textbooks to illustrate this is the length of giraffe's necks. Giraffe's were originally short necked but each generation the adult giraffes would stretch their necks to reach higher leaves that were left behind. Stretching their necks resulted in the adult's neck being slightly longer (than if it had not stretched). Importantly, according to the theory, this trait, longer necks, was transmitted to the giraffe's offspring. Over many generations the necks grew increasingly longer. In Lamarck's view interaction with the environment (circumstance) led to an inherited physical change in the organism. Okay, so with the modern synthesis of evolution incorporating Darwinian adaptation and Mendelian inheritance, among other things, we can comfortably laugh at this scenario. * However, in recent decades the role of epigenetic inheritance has been increasingly understood. With epigenetics there are not changes to a DNA sequence (mutations as we generally understand them) but "tags" are added to the DNA sequence that alters the expression of a gene. Importantly, factors in the environment the organism is exposed to change how these tags are added and this can be inherited across generations. So, there is a way for an organism's environment to influence inherited physical changes in an organism's future descendants. A famous example is "agouti" coat color in mice. 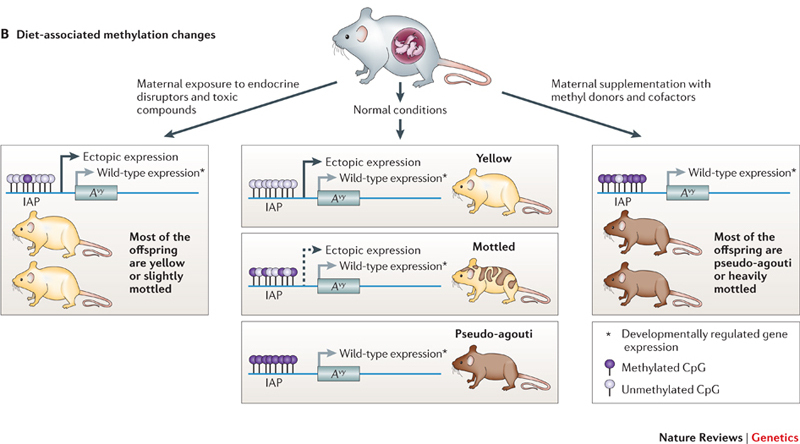 Mice that are heterozygous for an A[vy] allele have variable phenotypes ranging from yellow to brown, as a result of the influence of environmental effects. 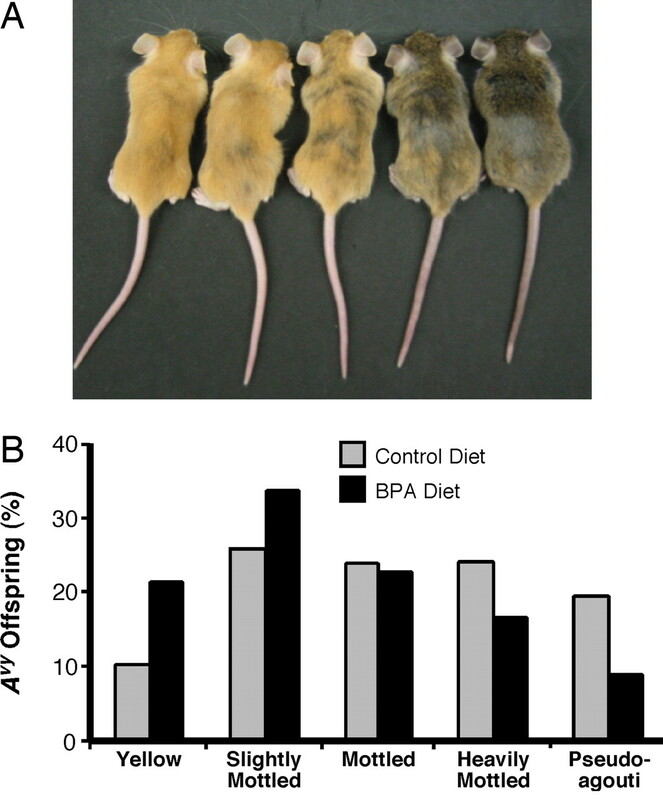 Interestingly, when parents are exposed to compounds like Bisphenol-A (BPA) this can cause a trans-generational shift towards more yellow descendants. On the other hand when the parents diets are supplemented with large amounts of folic acid, vitamin B12, or zinc there is a trans-generational shift towards more brown ("pseudo-agouti") descendants. This has been determined to be because of differences in methylation (one form of the DNA "tags") of a promoter region of the Agouti gene sequence. There are many more examples of epigenetic effects for a range of traits in a range of species. I am not going to attempt to review them here, but this is an active and interesting area of research and we are just beginning to understand how extensive this might be and the role it might play in, for example, human genetics (think for a moment of all the vitamins and chemicals you are exposed to and what effects this might have on your children and grand-children...). How do you detect epigenetic tags on a DNA sequence? One method is to treat the DNA with bisulfite first before amplifying and sequencing it. 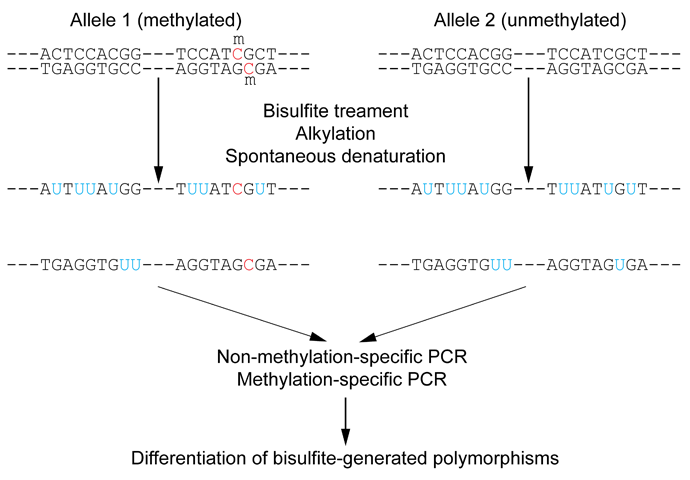 Bisulfite converts cytosine to what ends up appearing as a thymine (a C (to a U) to a T in the DNA sequence) but it does not affect cytosines with a methyl group that is attached. (To be clear there are more types of epigenetic "tags" then methylated cytosine, and not all types of epigenetics modify DNA nucleotides; this is just one type.) So, you can compare bisulfite treated and non-treated DNA sequences and work out if there is a difference in epigenetic modifications. Okay, bear with me. 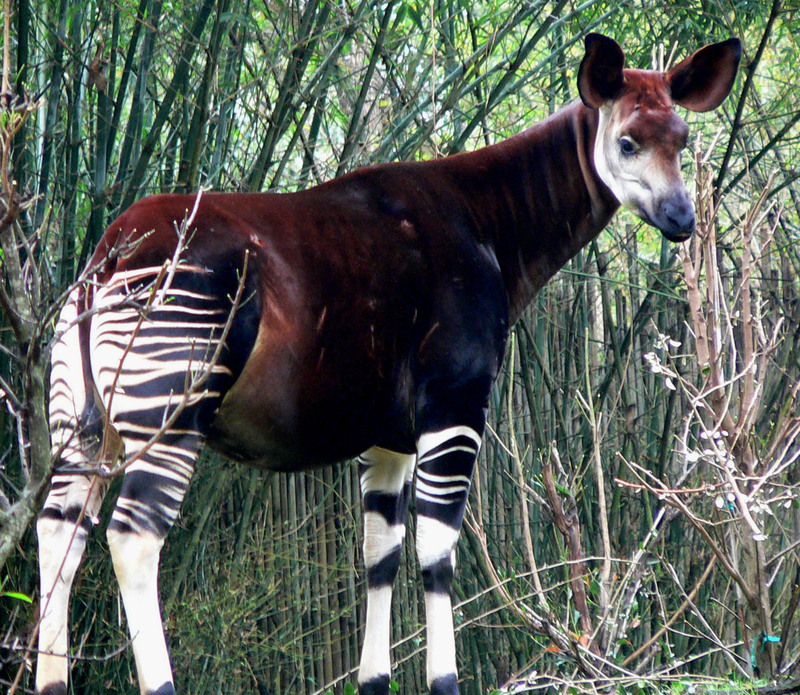 Recently the giraffe genome was reported in a comparative genomics project that included its shorter necked cousin the okapi (http://www.nature.com/ncomms/2016/160517/ncomms11519/full/ncomms11519.html). A number of genes with changes that likely lead to the giraffe's unique development were identified including FGF growth factors and HOX genes that guide development. Furthermore, the authors found changes in genes that are likely involved in tolerating toxins in their diet (acacia leaves for example are very toxic and contain a range of alkaloids). Okay, you can guess where I'm going with this. Giraffes eat food that is very biologically active and toxic to many other species... Just for fun, are there epigenetic signals in the genes implicated to be responsible for a giraffe's long neck? Do these vary among giraffes? Are they correlated with neck size and/or diet? Does the signal transmit across generations? (Could epigenetic potential have evolved to be sensitive to, and respond to, trees of different heights in the giraffe's (ancestor's) diet?) It would be fairly straightforward to work the first part of this out using giraffe DNA samples and bisulfite sequencing. Giraffe's already serve as excellent examples of the process of evolution (perhaps most famously the route of the recurrent laryngeal nerve in giraffes). 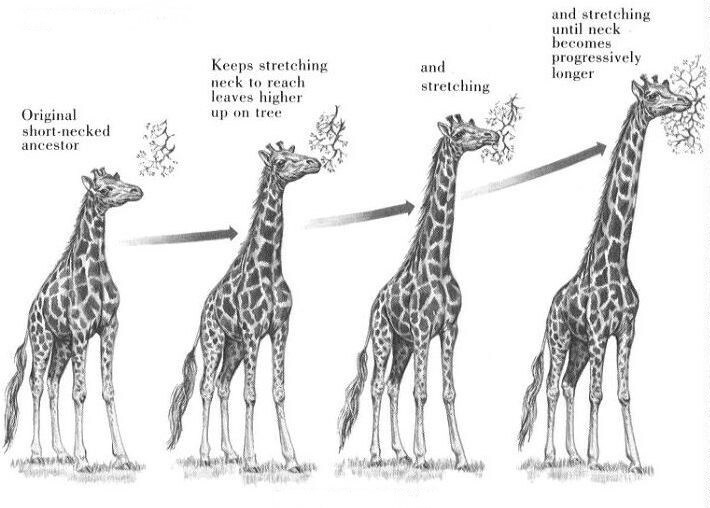 We now have the tools to determine if, after all of these years (centuries), there could also in fact be a Lamarckian "L'influence des circonstances" in giraffe neck length? However, to say that Lamarck was at a conceptual dead end and only known for the theory of inheritance of acquired characteristics is a part of the general misunderstanding that is associated with the man. He was a French naturalist that was involved in a wide range of scientific topics. Lamarck rebelled against the predominant thought of uniformitarianism in nature at the time. His idea around 1800 that some aspects of nature were mutable and could change was revolutionary and formed part of the foundation for Darwin's theory of natural selection and other components of the theory of evolution. Agaba, M., Ishengoma, E., Miller, W. C., McGrath, B. C., Hudson, C. N., Reina, O. C. B., ... & Praul, C. A. (2016). Giraffe genome sequence reveals clues to its unique morphology and physiology. Nature Communications, 7. Feil, R., & Fraga, M. F. (2012). Epigenetics and the environment: emerging patterns and implications. Nature Reviews Genetics, 13(2), 97-109. Gillispie, C. C. (1958). Lamarck and Darwin in the History of Science. American Scientist, 46(4), 388-409. This entry was posted in epigenetics, evolution, history of biology on May 24, 2016 by Floyd A. Reed.